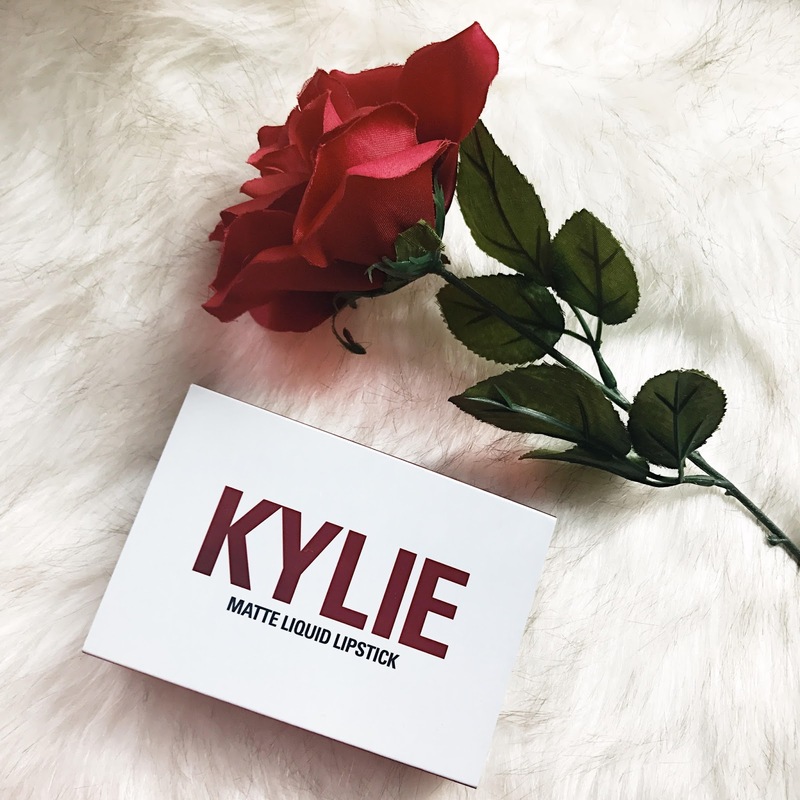 Today I wanted to share swatches of the brand new and super popular, Kylie Cosmetics Valentines Mini Lip kit. 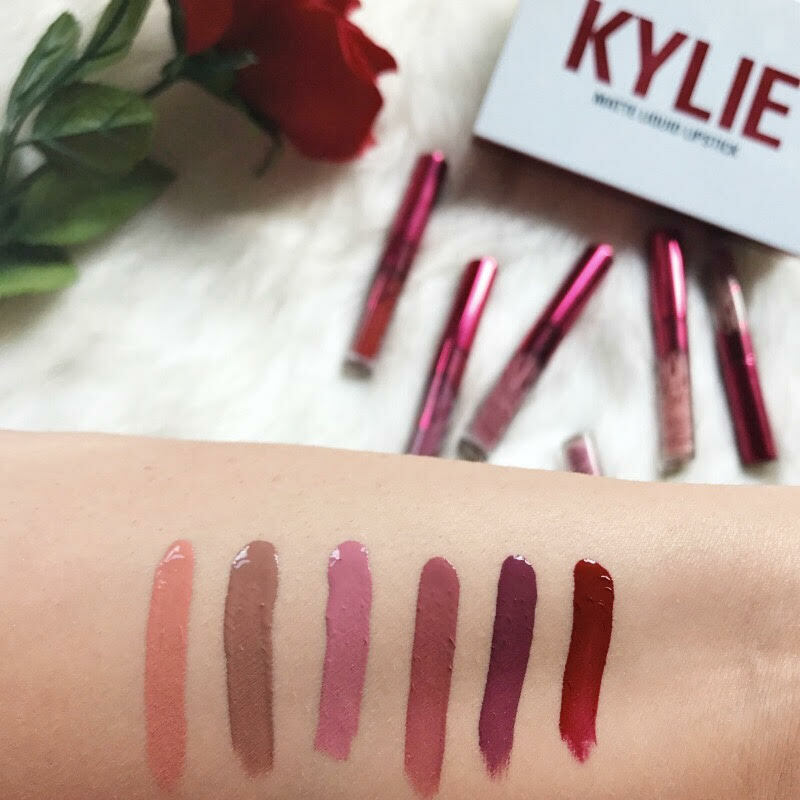 This Kit comes with six shades, three already in the collection and three new exclusive V-Day shades. 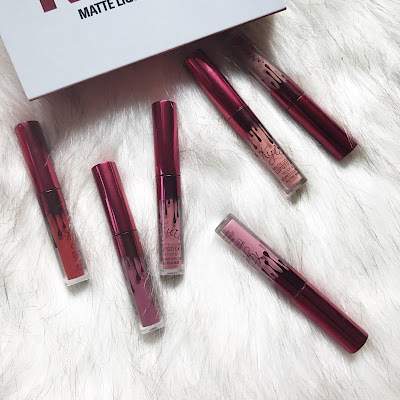 Today I swatched all six shades and wanted to give you all a mini review on these mini lippies!! 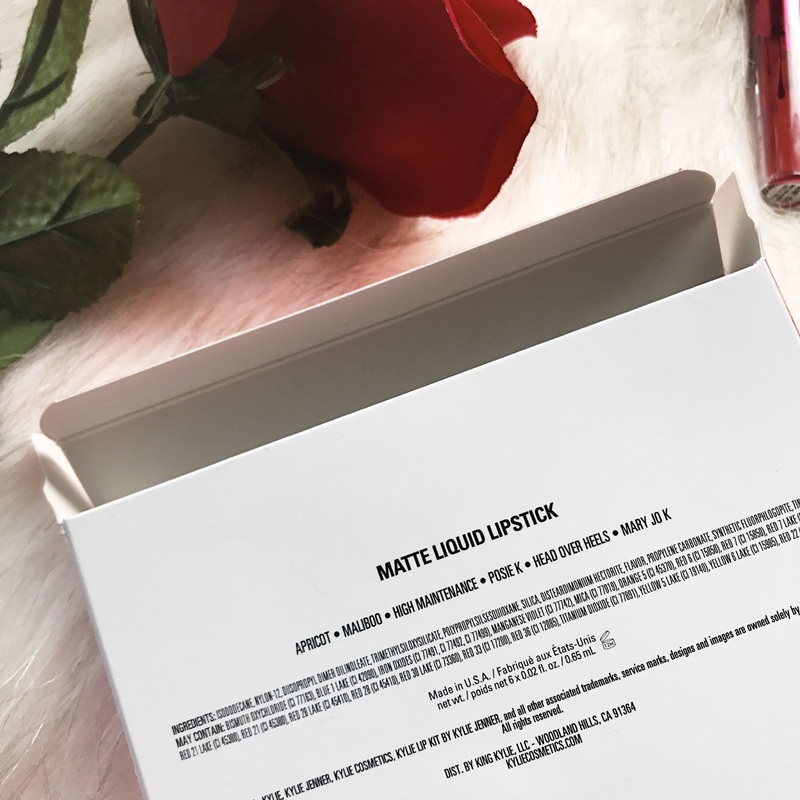 The first thing I think everyone thinks of when purchasing limited edition products, is packaging. Its a big part of what catch's our eyes as consumers when makeup is marketed as "limited edition'' or ''holiday edition.'' 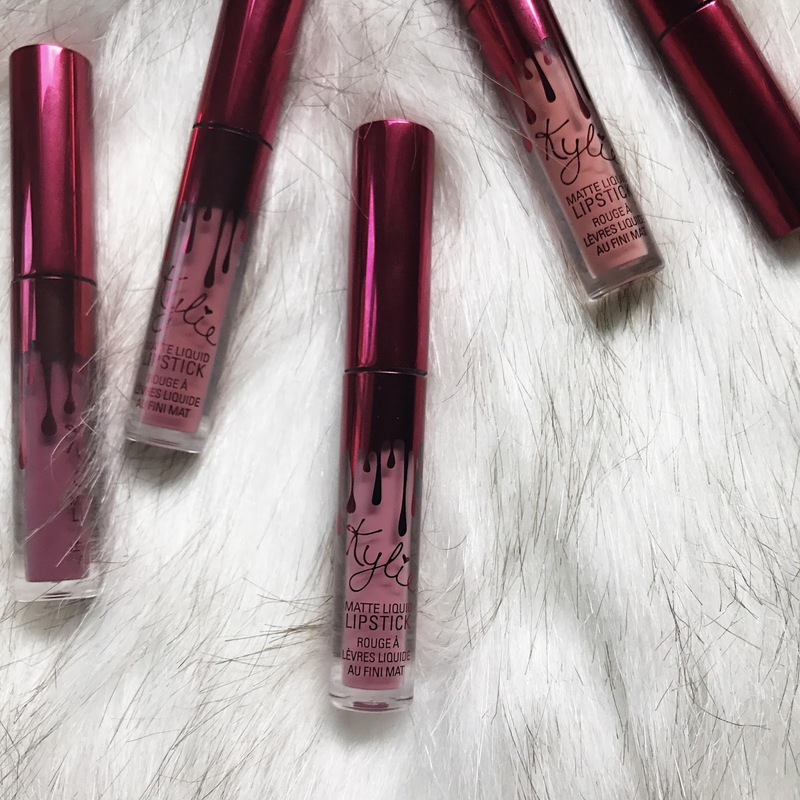 So whats the draw for this new and super quickly sold out Kylie collection? Well unlike her traditional black capped liquid lipsticks, these holiday minis are special edition red capped for VDay. They also come in a cute box that has the ''Kylie'' Logo on the outside along with the names of each of the liquid lipsticks on the back. One thing I did notice about this set though, is that there isnt much to it. The box is realitivly tiny and seems to be smaller in real life than it looks in photos. The minis are the same way for me, tiny. They just seem scaled down to what I pictured them. 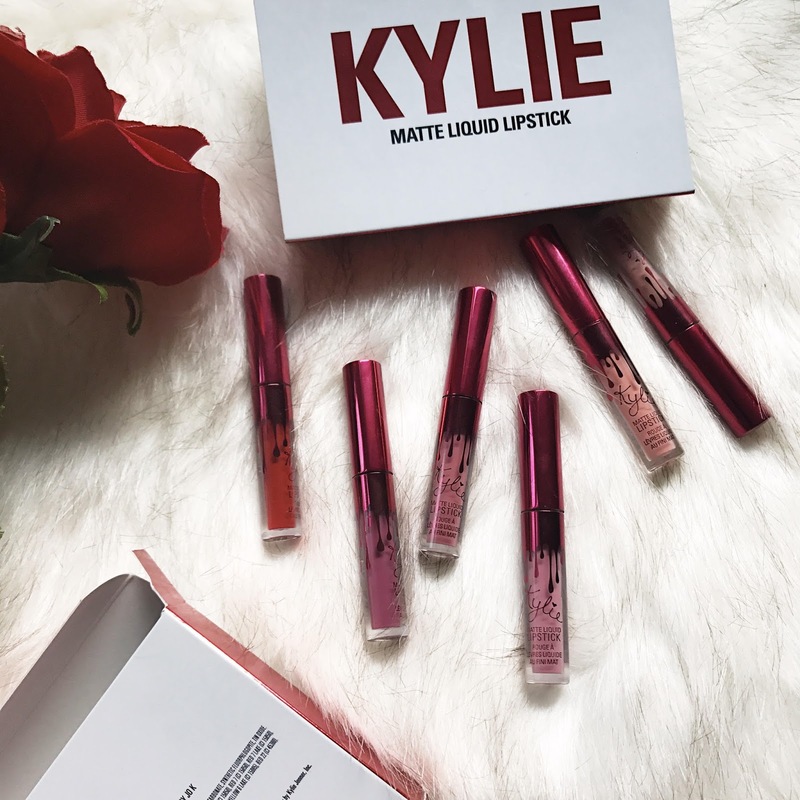 They also only contain 0.02fl oz while the full size lip kit contains 0.11fl oz. This collection contains six colors in it. Three shades are ones that are already permanent in her collection and three are new exclusive shades to the collection.